There are a wide variety of hotels around the ECUST rated from five-star to budget grade to meet any needs. Three contract hotels are Grand Skylight Gardens Hotel, L'otel hotel and Hanting Express. or consulate in your country, or your local travel agency with China visa processing business. For timely planning, please apply visa early. Click here to download the China Visa Application form. If you prefer to book hotel by yourself, please contact with the hotels directly. 35 minutes to reach Hongqiao Airport and Railway Station by car. Conveniently located near Shanghai South Railway Station and within 35 minutes’ drive of Hongqiao airports. The hotel is situated 2 km away from Shanghai South Railway Station, Shanghai Coach Station and subway station of Shanghai South Railway Station. The surrounding area includes ECUST, Botanical Garden, Jinjiang Amusement Park, Middle Ring Road, Humin Viaduct and many bus routes. The hotel is situated 1.8 km away from Shanghai South Railway Station, Shanghai Coach Station and subway station of Shanghai South Railway Station. Conveniently located near ECUST, and within 27 minutes’ drive of Hongqiao airports. The tour will be handled by a local sightseeing company. If you like to participate in this tour, please send your email to this address (icbs2017@chemical-biology.org). 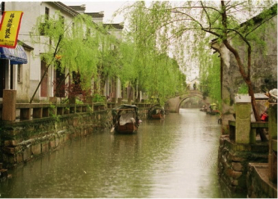 Half-day tour: Shanghai and the nearby historical towns - The cost of the half-day tour is RMB 200yuan/person.